Lawyers for Boston Marathon bomber Dzhokhar Tsarnaev told a federal appeals court Thursday his conviction should be overturned because the judge refused to move his trial outside of the city where the attack took place. In a more than 1,100-page court filing, Tsarnaev’s attorneys detailed what they said were several problems with the case, starting with the decision to hold the trial in a still-traumatized Boston. 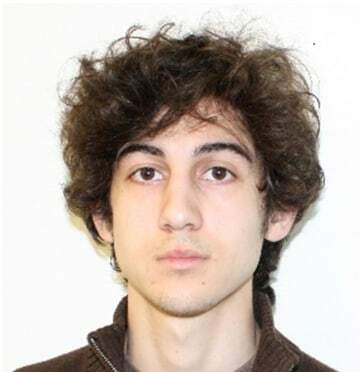 Tsarnaev was convicted and sentenced to death in 2015 for his role in the bombings that killed three people and wounded more than 260 during the 2013 Boston Marathon. Tsarnaev carried out the attack with his older brother, Tamerlan, who died three days later in a shootout with police. “If there is any lingering doubt, I did it along with my brother,” Tsarnaev said at his sentencing. In their court filing, Tsarnaev’s lawyers also said two jurors should never have been seated on the panel because they made false claims during jury selection. The foreperson said she had not made any online comments prior to the trial, but she had in fact published 24 Twitter posts about the bombings including one that called Tsarnaev a “piece of garbage,” according to the court papers. The lawyers argued that the judge shouldn’t have denied Tsarnaev’s challenges to these jurors and that not asking the jurors further questions was an “intolerable” error. The attorneys said that the court should have allowed the jury to hear evidence that Tamerlan robbed and killed three people in Waltham, Mass., in 2011 in his pursuit of “jihad.” This information, the lawyers say, would have proved that it was Tsarnaev’s older brother who led the conspiracy. If it weren’t for his older brother, Tsarnaev “would never have been on Boylston Street on Marathon Monday,” the court filing says. Federal prosecutors will file their response and oral arguments will be scheduled for some time next year. Legal experts say the appeals process could last years. Tsarnaev, now 25, is being held at the most secure prison in the U.S., ADMAX Florence in Colorado.